Make a statement with this eye-catching pouch! The smaller the better! 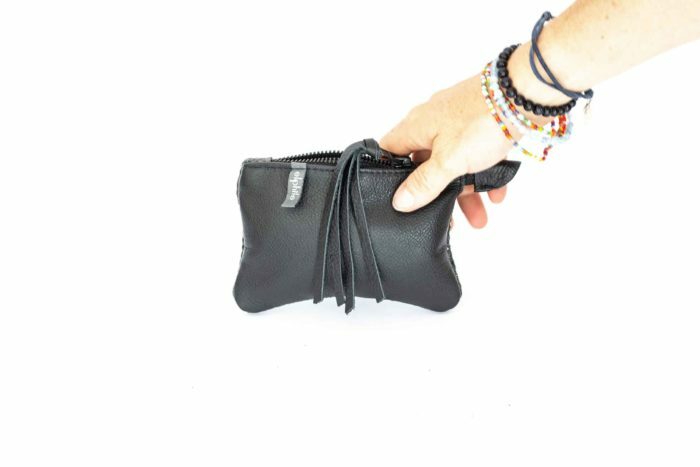 Unique in design – with refined, detailed corners – and oh so functional, this petite leather pouch is a stylish and easy way to take your credit cards, money, and a lipstick out on the town. 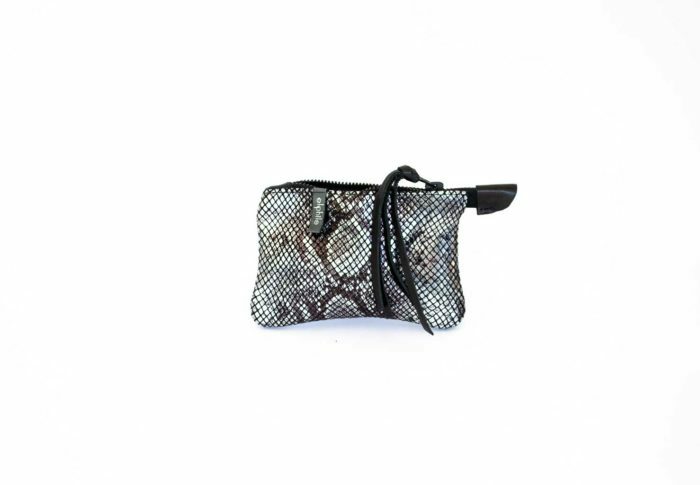 This python-printed coin pouch has a classic, yet edgy, color and texture leather combination that marries luxury and rock n' roll. Handmade in Houston, TX, with genuine leather. This blue foldover is all about sleek lines with a modern feel. Authentic cowhides, fine ornaments and bright colors are details that establish your evening look ! 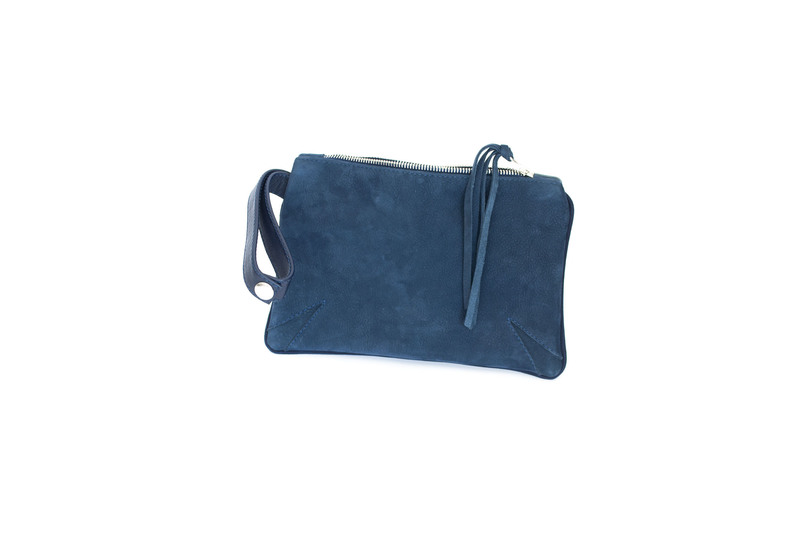 This bag is ideal as a party clutch yet also perfect for formal meetings. Each handbag has a unique color and texture leather combination making each bag a fashion statement. It is available in different color palettes and leathers to suit each and every outfit. 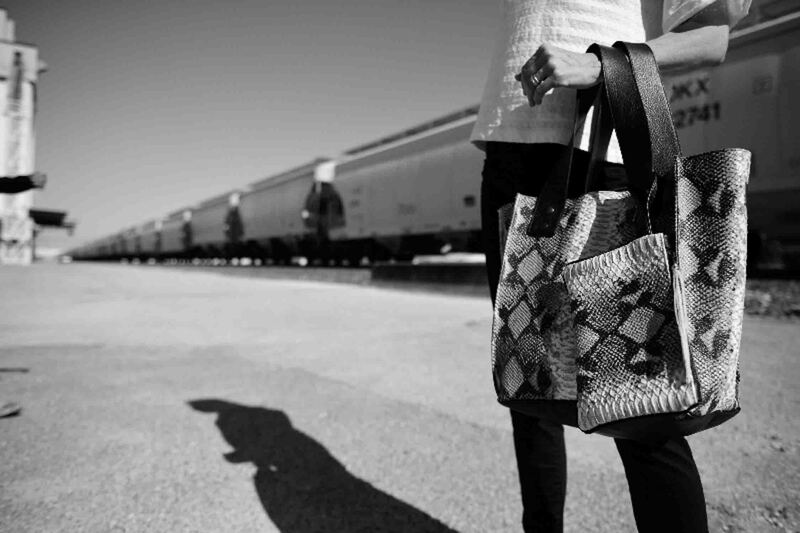 Elphile bags have unique textural effects and color associations which make each of them one of a kind. This gray foldover says glamour and complements your evening look. Genuine sumptuous leather, quality ornaments and impressive colors make this medium handbag a pure fashion statement. This foolproof classic is one of a kind. It is available in a broad range of colors to complement any party dress. The leather selected for each foldover has a distinctive texture and coloration. Take your look to a brand new level with this python printed foldover. Elegant ornaments and textured leathers are refined details that make this handbag a statement piece! The python print has definite impact. 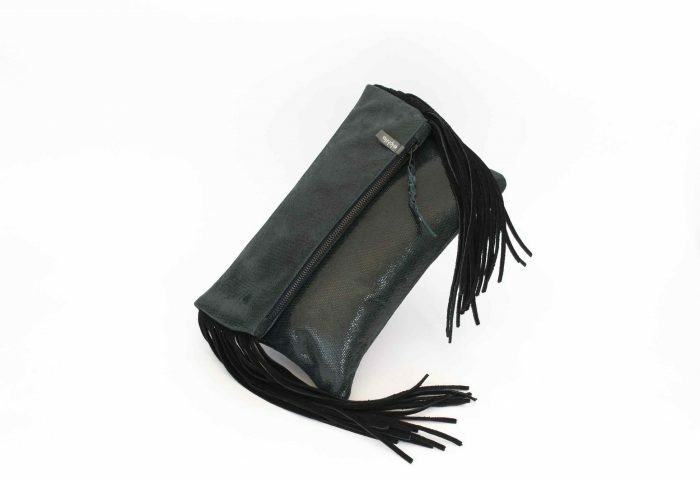 It is the perfect companion to carry your essentials and steal the show on your next night out. 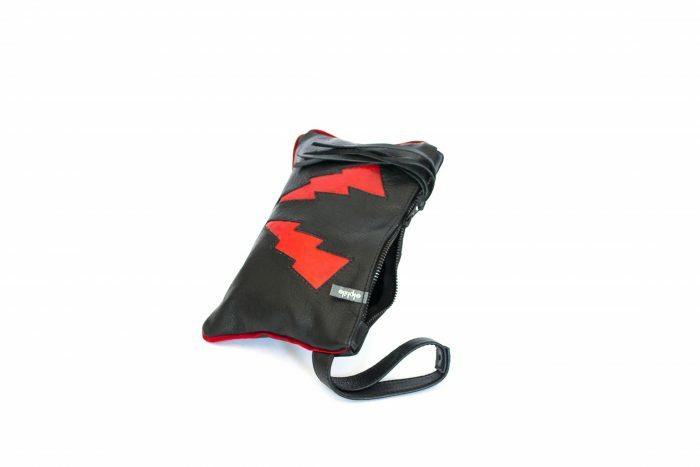 This foldover is available in a wide range of colors and leathers to suit each and every personality. Each handbag has a unique texture/color leather combination that suggests your own story making each bag one of a kind. Handmade with genuine leather. When styled into a great outfit a black clutch takes it up a notch! Sumptuous leathers, delicate ornaments and bright colors are refined details that establish your look ! 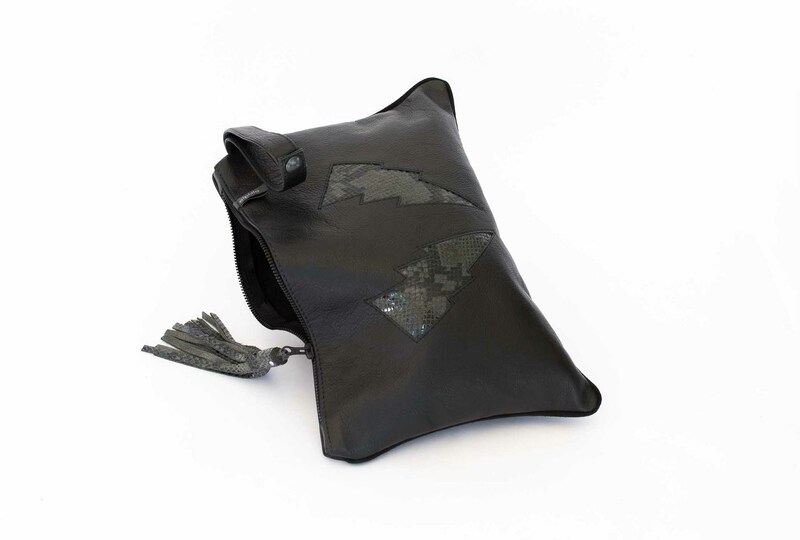 This evening purse is elegant as a party bag yet also ideal for casually toting around your essentials. Available in a large variety of colors and leathers to suit each and every mood. 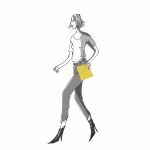 Each clutch has a unique texture / color leather combination that suggests your personality, your unique story making each bag one of a kind. 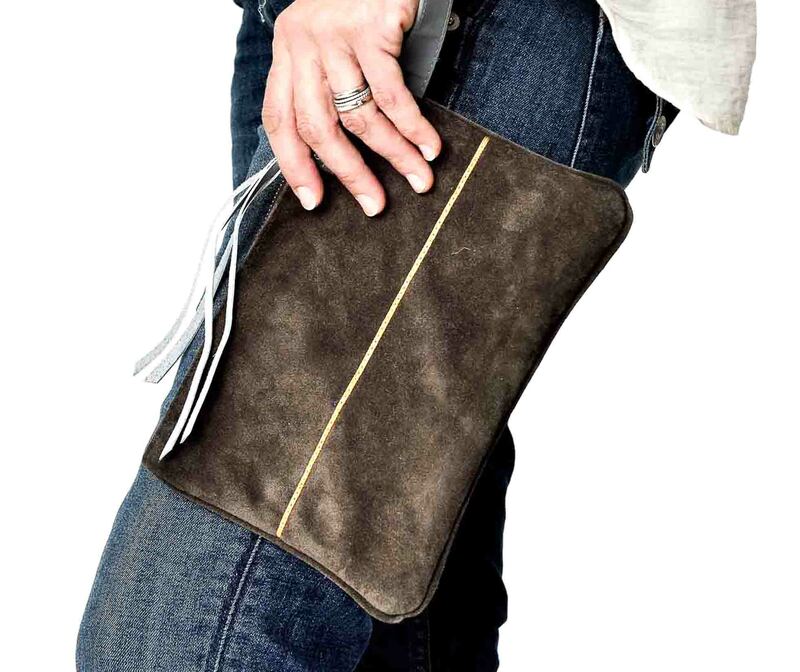 This clutch features an updated strap finished with a snap. Strap finished with a snap. 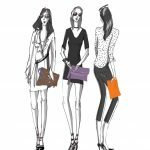 Each clutch bag is available in a wide range of colors and leathers to suit each and every personality. Elphile bags have a unique texture and color leather combination that suggests your personality making each piece unique. Playful and elegant hair-on clutch. Contemporary ornaments, authentic leather and standout texture give an eye-catching finish to elphile's signature purse. This versatile wristlet bag will mischievously enhance your favorite casual outfit as well as your most cherished party dress. This signature clutch comes in a wide range of colors and textures to suit each and every personality. It features an updated strap finished with a snap and elegant leather strings. Each handbag has a distinctive color and leather texture blend making each product genuinely unique. The blue clutch comes in various tints. Find yours! Genuine leathers and suedes, fine ornaments and bright colors make it unique! This handbag is elegant as a party bag yet also ideal for business meetings. 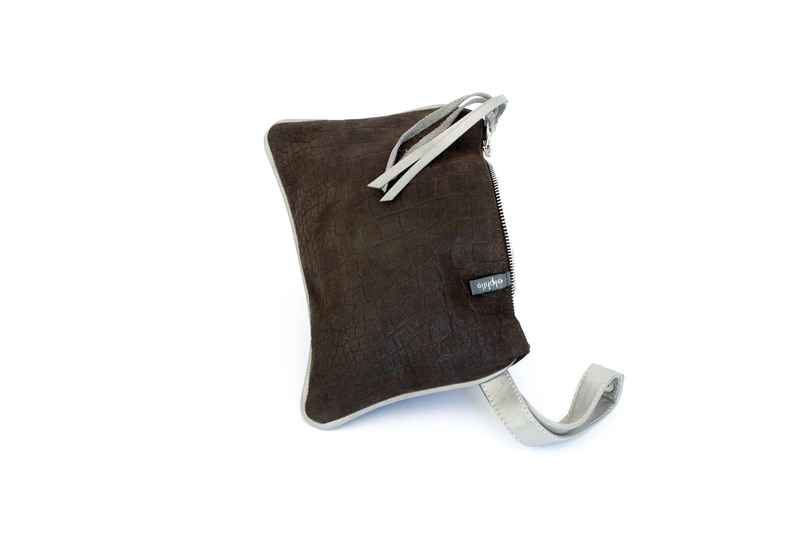 It is available in a large array of colors and leathers to suit your personality. 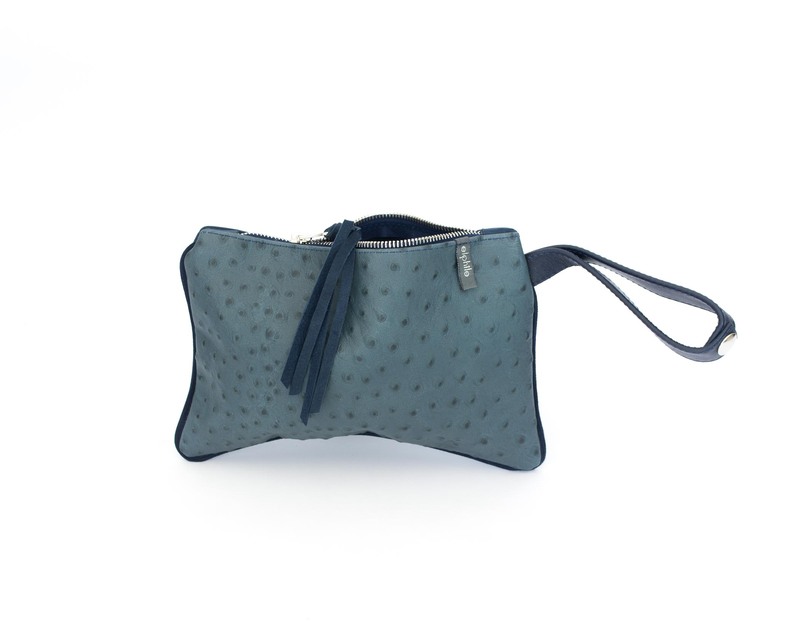 Each blue purse has an exclusive texture / color leather mix to suit each and every whim. 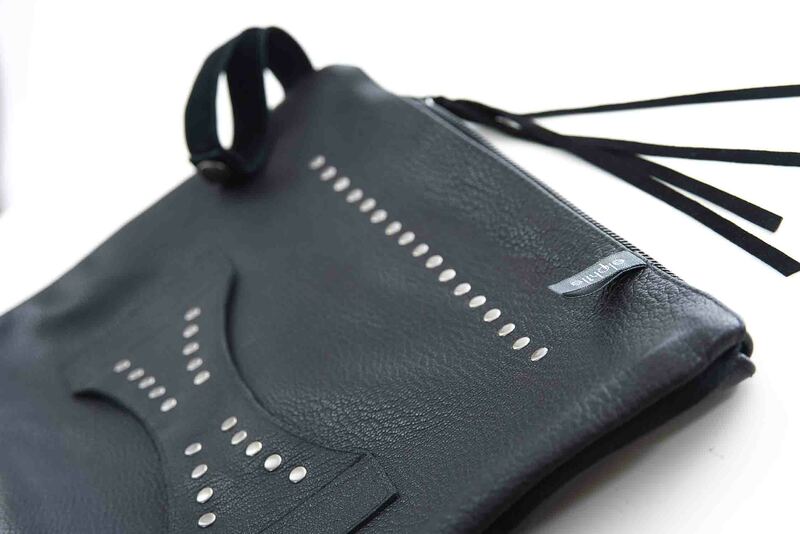 This purse features an updated strap finished with a snap. 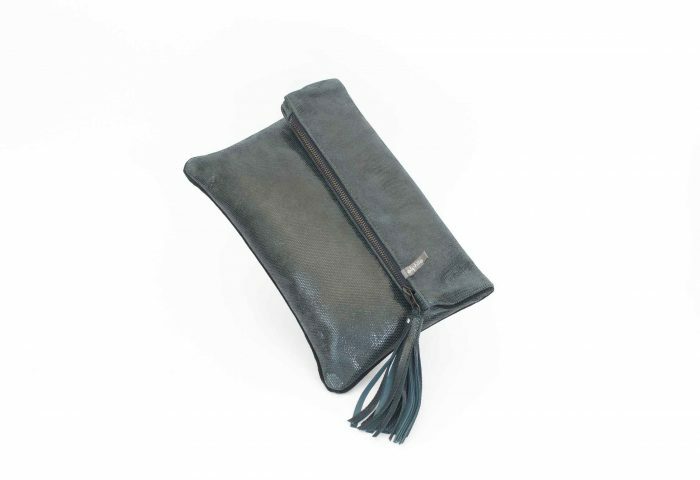 Each wristlet bag has a different color and leather mix. Indeed elphile clutches have a distinctive and rare texture and color leather combination which renders each model truly unique. This brown clutch is a real showstopper ! Delicate cowhides, refined ornaments and bright tints are details that makes this little purse a perfect match with any outfit ! It is ideal as an evening handbag yet also great for every activity. Available in various colors and leathers. This brown wristlet bag has a unique color and texture leather combination to reflect your personality. Each bag is a creative statement. 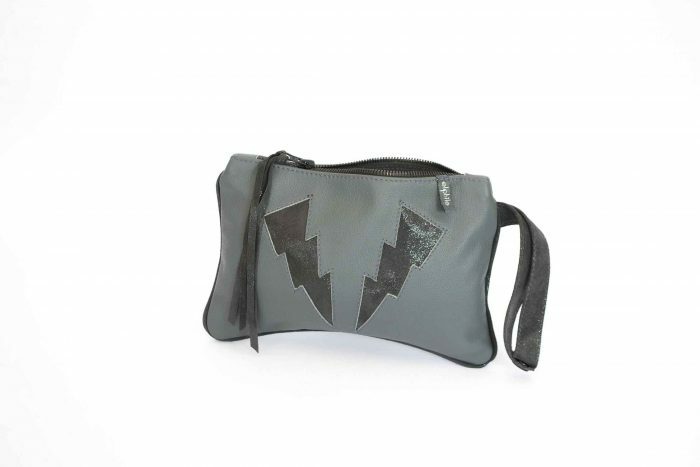 This gray clutch will make you stand out from the crowd ! Pure leathers, trendy ornaments and vivid shades give this small handbag an edge over its opponents. It is trendy and chic to suit your busy life from dawn to dusk. 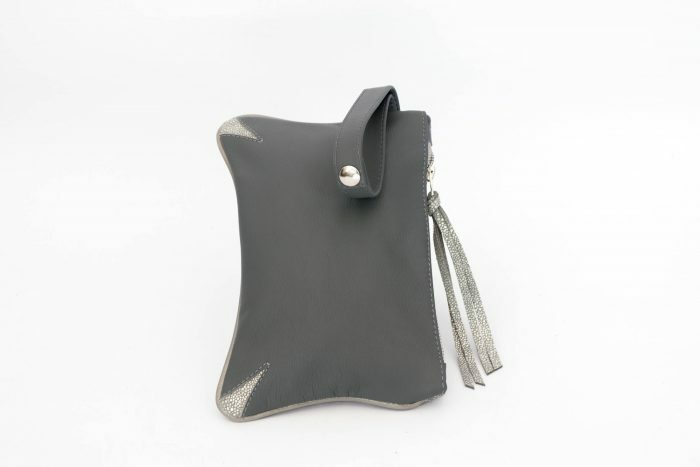 The gray clutch comes in a wide range of tints and leathers to match any of your outfits. 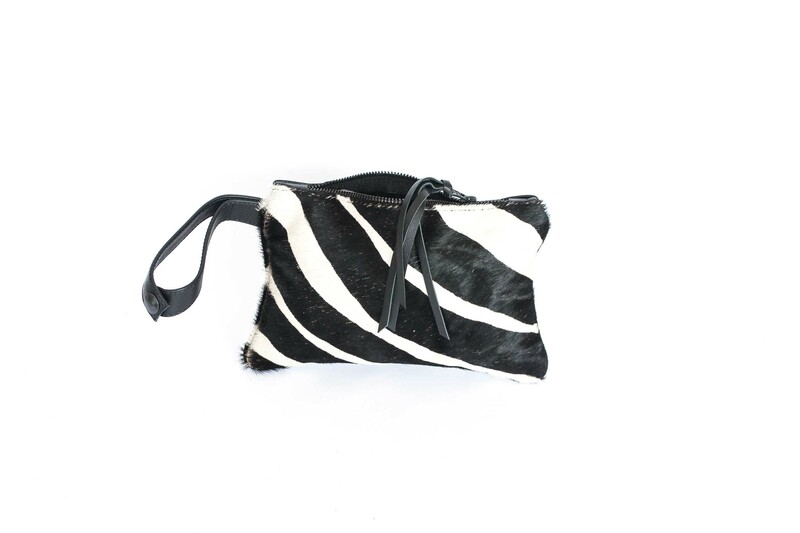 Each cowhide purse has an individual color and texture combo. This model features an updated strap finished with a snap. 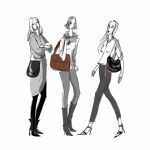 Each grey handbag has a different color and leather mix making each of them a genuinely unique piece of art. This python printed clutch deserves the limelight ! Genuine, high quality leathers, modern details and bright colors give this little handbag its unprecedented style. Elegant and charming, it will suit your busy life from the office to the dance floor. 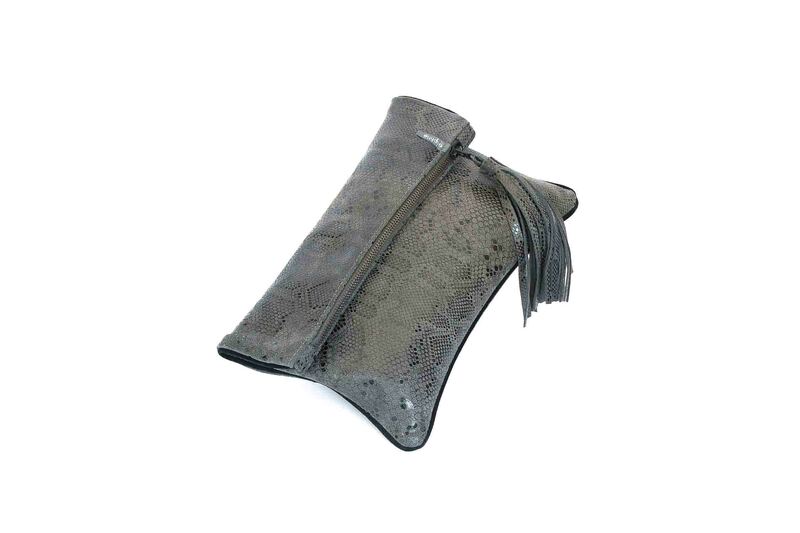 The python clutch bag comes in a wide variety of leather shades to match any of your outfits. Each purse has a unique color and texture combination. 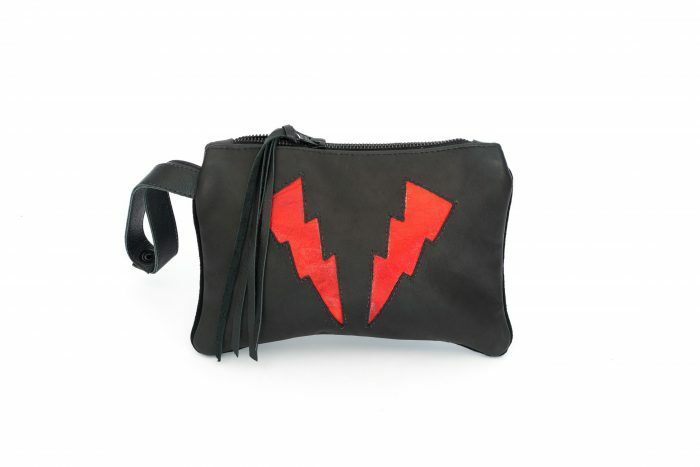 It features a leather strap finished with a snap or fringe. Each python handbag has a singular leather and color mix making each of them a unique accessory.